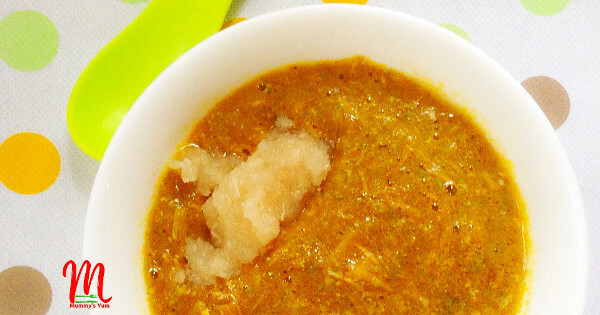 Nigerian soups are packed full of nutrients and you may want to introduce them to your baby from 7-8 months old. Rather than giving him/her your fingers to lick from your own soup (I am equally guilty of that sometimes), make a baby version that can be given as a complete meal. Making strictly baby’s own soup is in my opinion a better way of making this introduction. The family soup will definitely contain salt and it is medically advised to avoid adding salt to baby’s food. This is because their kidneys are not completely developed to withstand processing all that. Okro soup is always a kids favourite and therefore a good soup to start baby with from 6 months. Inorder to make it tasty, without adding salt or seasoning, I use crayfish, onions, flaked mackerel fish and then sometimes add a little scent/basil leaf (nchuanwu/effirin). Remove the fish and allow to cool before de-boning completely and flaking. Please be careful to remove all the bones in the fish. Meanwhile, drain the fish stock into a fresh pot with a sieve to ensure all the onions, garlic and any bone particles have been removed. Blend the remaining onions and crayfish together. Chop Okro in chunks and blend with a little water till smooth. Set pot of stock on medium heat again and once it boils, add the palm oil, flaked fish, blended onions and crayfish. Stir and simmer for about two minutes. Pour in the blended okro, stir well and remove from heat once done. The okro is blended, so the heat from the soup will cook it well without killing the nutrients. Serve with a small portion of very soft eba. Note: You can add more or less water to loosen the thickness of the soup to your baby’s preference. There is another okro soup for older kids or the whole family. Leave a comment below. Follow Mummy’s Yum on Instagram, Facebook and Twitter for more interaction and sharing of information and ideas. Happy I came across your page.my baby will be 6months next week.can I start him with okro soup now?he wants to eat whatever I eat now. Wow. A great and simple recipe for babies. I loveeet. God bless you richly ma. Thank u for this my baby really enjoyed it.. This is the first time i will introducing real solid to my son, (he has been eating all those supermarket bland food *covereyesinshame* . I must confess my son finished all his pounded yam and the okro soup and was even crying for more. Such a pity i forgot to take a pics of his plate after eating. The okro soup tasted so nice and delicious. I am regretting now for not starting him our own food on time, I bless the day i stumbled on your site, which was last week Wednesday(27/6/2018). 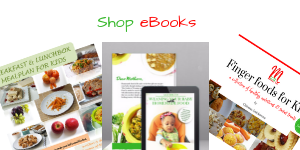 All through the weekend i did not allow him to take those #bland food, i made about 5 different types of food i saw on your website and i store in the freezer for this week. Thank you so much ma and God bless you for raising healthy kids! Tolu, thank you so much for this wonderful feedback. I would say congratulations and welcome to homemade baby food…the best thing you can do for your child. Thank you Mummy’s yum. You are truly fantastic with the baby food ideas. the ideas are not out of the world and they are ingredients we see everyday, wow. You should have a recipe book! Thank you so much Tolu. Please which Amala is recommended for babies….yam or plantain? Or are both good enough? Thank you. Thank you so much. Both are good Loretta. I made this soup over the weekend for my son, you should see the delight on his face when eating it. I also made the yam pottage mash and potato plantain and carrot puree he loved them as well. Up next is the beans and carrot puree. 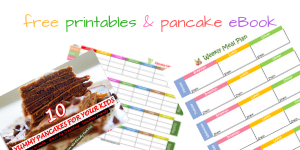 I’m really grateful for all the work you do, it has made planning my son’s meals much easier. Please I have a question, because of work I cant make food for him everyday, is it ok to freeze some of these meals maybe for a week or two? That’s great namesake. You are very welcome. O yes, all those you mentioned are freezable. Best to use small portion plates for babies so that you take out one for each individual meal. Thanks you mummy yum for this recipe. So simple and straight to the point. Mummy yum, is it ok to substitute the okro with ogbono for my baby? You are welcome Holamie. Okro is always better because it is a vegetable on its own but if you want to make ogbono, then make sure you add green vegetable to it for better nutrition.